Australia’s No. 1 female Sam Stosur and world No.6 Jo-Wilfried Tsonga have today confirmed their participation in January’s Apia International Sydney. Australia’s No.1 female tennis player Sam Stosur and Olympic silver medallist Jo-Wilfried Tsonga today confirmed their participation in this January’s Apia International Sydney. 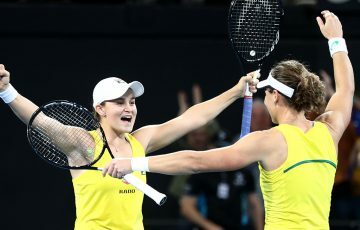 The formidable pair is set to spearhead an impressive player line-up at the 6–12 January event at Sydney Olympic Park Tennis Centre. World No.9 and former finalist Stosur signed up for the Sydney event because the internationally renowned tournament attracts the world’s best. “Every year the tournament is tough, the cut off is around 25 in the world so you really jump straight in the deep end there,” said Stosur. ”Going into the first Grand Slam of the year you want to be playing the best in the world and that always happens in Sydney,” Stosur added. Watson is equally excited to have Aussie No.1 Stosur in the mix in Sydney. “Sam is a great ambassador for our sport and we are delighted to have her returning to Sydney to try and capture her first title on home soil,” said Watson. “The Apia International Sydney is renowned for the strength of its women’s field and Sam’s commitment to playing Sydney confirms that. I fully expect that trend to continue again this year,” Watson added. The 28-year-old Aussie favourite has produced consistent results in 2012. She reached the final in Doha, was a semifinalist at the French Open, Tokyo and Charleston and made five quarterfinal appearances including the US Open. “There are lots of friends and family that come out and support me and it just feels like home. What better way to get ready for the Australian Open than Sydney,” Stosur continued. World No.8 Tsonga returns to Sydney for the first time since 2009. “For me it’s very important to prepare well for the Australian Open,” said Tsonga. “Playing the Sydney event provides great preparation,” Tsonga added. Apia International Sydney Tournament Director Craig Watson said Tsonga’s presence in Sydney is a real boost to the men’s line-up for the 2013 event. “Tsonga is one of the global superstars of men’s tennis and we are thrilled that Sydney tennis fans will get the chance to see him play this January,” said Watson. 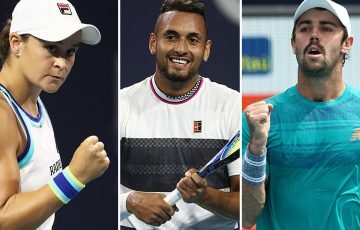 “I also expect other top male players will follow Tsonga’s lead and choose the Sydney event as the best way to finetune their Australian Open preparations,” Watson added. Tsonga has captured an impressive nine ATP World Tour singles titles in his career but is yet to break through on the big stage of a Grand Slam. 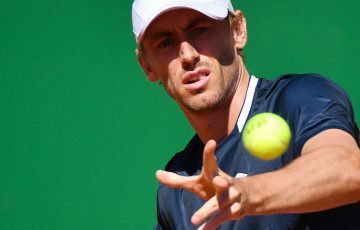 He aims to recapture the momentum that playing the Sydney event provided him in 2008 when he reached the final of the Australian Open. “I always enjoy my time there,” said Tsonga. “Right after [Sydney] in 2008 I played the final at the Australian Open,” Tsonga added. 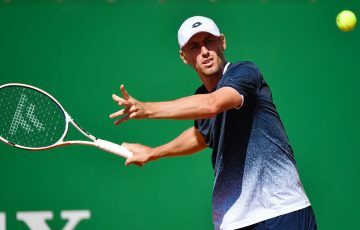 The 27-year-old Frenchman achieved a career high ranking of No.5 in April this year and has won two titles in 2012 in Metz and Doha where he beat world No.1 Roger Federer. The big serving Frenchman also teamed up with countryman Michael Llodra in the Olympic doubles competition where they were silver medallists. The pair lost the gold medal match to current Apia International Sydney men’s doubles titleholders, American brothers, Bob and Mike Bryan. NSW Minister for Tourism and Major Events George Souris said the participation of high-profile players such as Sam Stosur and Jo-Wilfried Tsonga, demonstrated the regard in which the tournament is held. 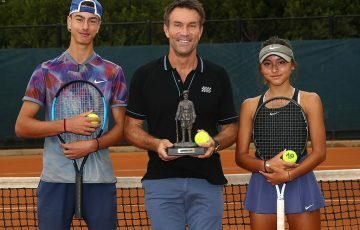 “The NSW Government, through Destination NSW, has a strong relationship with the Apia International Sydney and we are pleased to see the continued high calibre of players competing in this world-class event in 2013,” said Mr Souris. Apia International Sydney 2013, proudly supported by Apia in association with Destination NSW, Caltex and Sydney Olympic Park Authority, will take place at the Sydney Olympic Park Tennis Centre from 6 to 12 January 2013. Apia International Sydney single session tickets and series packages are now available through Ticketek. Tickets can be purchased online at www.ticketek.com.au or call 1300 888 104.